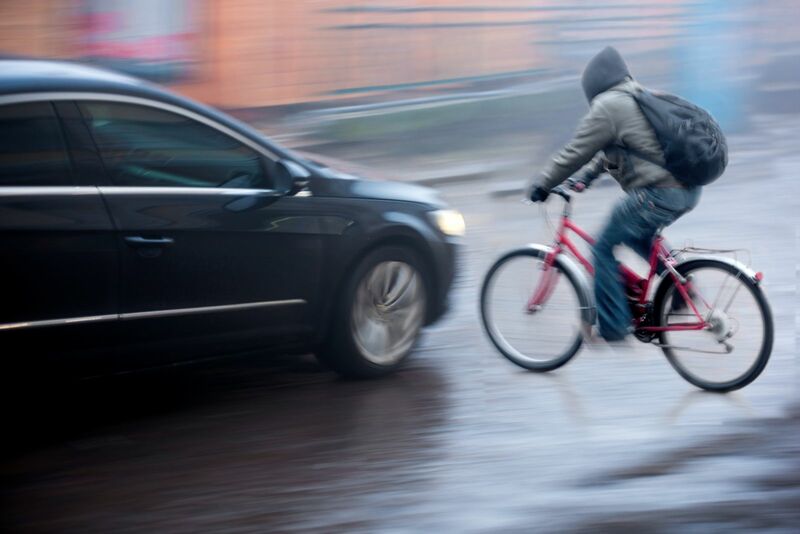 In many cases, a bicyclist involved in an accident with a motor vehicle can get compensation for his losses and expenses via the at-fault driver’s insurance policy, his own insurance policy, or a combination of the two. Whose insurance is responsible for covering my expenses? Because Washington State is not a no-fault state, the insurance company for the at-fault party should be liable for the injured party’s damages. However, many factors affect the coverage available in each unique case, so consult an attorney to determine your relative portion of the liability for the accident and your best course of action to get compensation. Yes. If you were hit by a car in the state of Washington, the at-fault driver’s liability coverage should cover your damages – including medical bills, lost wages, and other damages. The driver’s PIP (personal injury protection) coverage, if they have it, should also cover your injuries, with caps that range from $10,000 to $100,000 per incident. In some cases, insurance companies may wrongly deny you compensation or stall on paying claims. In cases like these, an attorney can help you file a lawsuit to pursue compensation. Will my car insurance cover me if I am injured? It might. If your car insurance has uninsured/underinsured (UM/UIM) coverage, you can file a claim with your provider for the cost of your medical expenses, lost wages, and property damage. This will cover any gaps between the driver’s liability coverage and your actual bills and will cover you if the other driver is uninsured. Likewise, if your insurance policy has PIP coverage (optional in Washington), it provides you with no-fault coverage that will cover the costs of your medical bills and some lost wages. Most policies have up to $10,000 in coverage. If the at-fault driver in the accident has PIP coverage, that policy should pay covered expenses before your own insurance provider. Do I have any other legal remedies available to me? Maybe. If the driver was under the influence of drugs or alcohol, you may be eligible to access funds from the Washington State Crime Victim Compensation Program. This is a pool of money for victims of violent crimes that can help offset your medical expenses and lost wages. Can a bicyclist who contributed to the accident recover compensation? Yes. Washington State is a pure comparative negligence state. Put simply, liability for accidents involving motor vehicles is determined by the percentage of fault that each party had in the accident. Unlike other states, which only allow damages to be recovered by parties with less than 50 percent liability, Washington State totals damages, then reduces them to accurately reflect the plaintiff’s portion of the liability for the accident. What should I do if I have been in a bicycle accident with a motor vehicle? It is not just important, but often legally required for those involved in an accident with a motor vehicle to call local police and file an accident report. This is especially true if injuries are involved. Gather information from any witnesses on the scene, including names and contact details. Document the scene, including photographing injuries, the position of the vehicle and bicycle, and the area around the accident. These photos can prove, for example, that the roadway was clear and there were no visual obstructions that contributed to the accident or can document skid marks that show the driver was speeding. Gather information from the driver of the vehicle. Ask for insurance information. Watch what you say. It’s important not to discuss fault or apologize for your role in the accident. What may seem like courtesy may be later used to assign fault. In Washington State, cyclists have all the same rights and responsibilities as vehicle drivers, as outlined in RCW 46.61.755. Unfortunately, when cyclists and drivers are sharing the road, bicycle riders are at a much greater risk for injury from collisions. Determining who is at fault for the collision may determine whose policy is responsible for covering medical expenses, property damage, lost wages, and other costs. Each accident is unique. The team at Max Meyers Law has the experience to review your case and pursue compensation for your personal injury claim. Call us today for a free consultation: 425-399-7000.